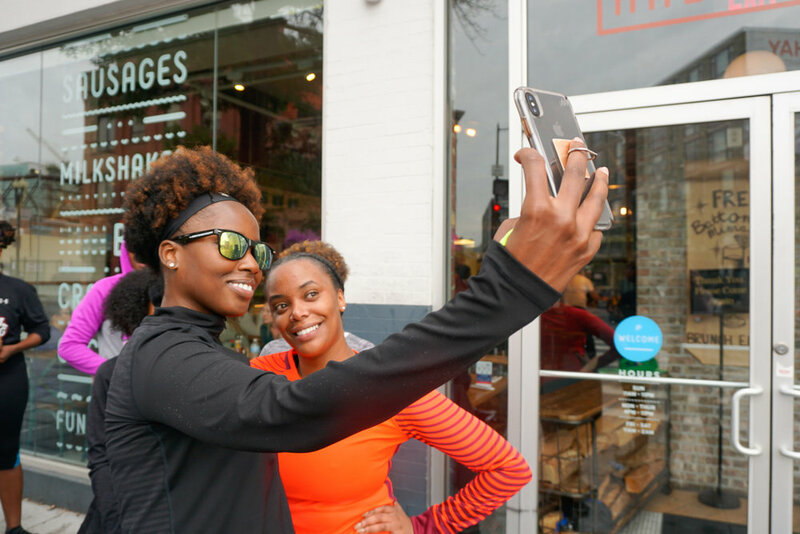 Miles + Mimosas: Work and Wellness — RUNGRL Co.
On October 14, RUNGRL hosted the latest installment of our run and brunch experience, Miles + Mimosas. 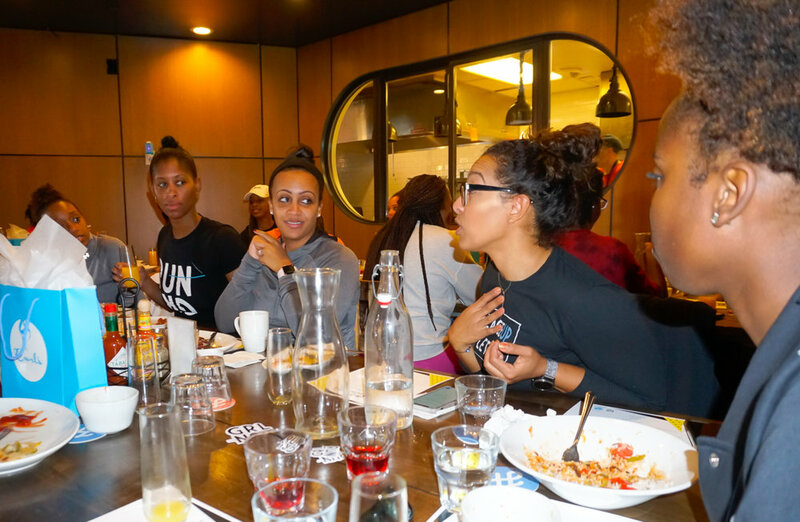 Miles + Mimosas is RUNGRL’s signature event, where we connect with our community in real life for a 5K run/walk, followed by a brunch and chat about the issues that are top of mind for Black women. 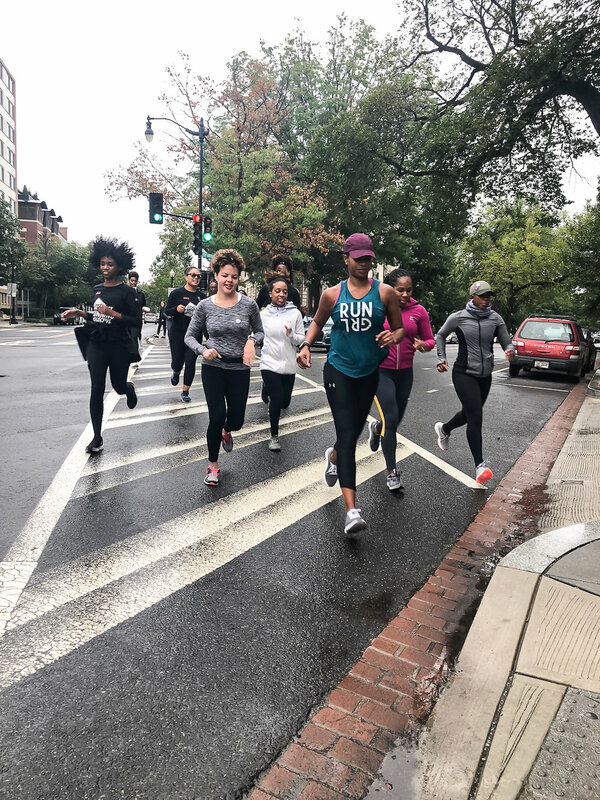 Despite an unexpected rain shower, all the ladies headed out for a two- to three-mile run through northwest D.C. For many ladies, running in the rain was a first, and yet, they unanimously agreed that it was a great time alongside fellow runners. Once we were done, we headed back to HalfSmoke for brunch, conversation and, of course, bottomless mimosas! This event’s discussion focused on work and wellness and the challenges of maintaining personal health as hard-working professionals. We all understand that in order for us to continue to change the world through our work, we must first take care of ourselves, but that’s often easier said than done. How do you cope when work gets stressful? How does your work affect your fitness routine and vice versa? Have you tried to make a major lifestyle change in the past? Was it successful? When do you prefer to exercise? How do you stay on track? What’s the one self-care act you do every week? Everyone offered insights and experiences around the challenges we face as black professionals, moms, entrepreneurs, etc. From seemingly small treats, such as getting your nails done, to bigger needs, such as understanding the need to take a personal day, attendees shared what works and what doesn’t to keep themselves balanced between work and everyday life. “The biggest challenge to my work/fitness balancing act is me. If I don’t schedule a time to workout or meditate like I would a work meeting, it doesn’t happen,” shared Sabrina Fisher. “I had to realize that sometimes you really need personal time away from your children or partner to recharge—and that it is perfectly okay,” said Joselyn Towns, a new mom. “When I force myself to get in miles, whether before or after work, it always makes me feel better and clearer,” said Shanteria Carr. Ultimately, the Miles + Mimosas discussion helped us to refocus our respective commitments to fitness as a great stress reliever and to continue to make wellness and self-love a priority. Special thanks go out to our event partners, Curls, which provided hair product goodies to attendees, Martini and Rossi, which provided complimentary cocktails featuring their new Rossi Reserva Special and Bitters campaign, #MakeBitterChoices, and HalfSmoke, which provided delicious eats, great service and dope vibes for our event. View highlights below and check out even more photos on the RUNGRL Facebook page. Want the chance to run with RUNGRL in your city? RUNGRL is going on a six-city tour on the East Coast this fall. The tour kicks off October 21 in New York City. Get more details and RSVP to let us know you’re coming!